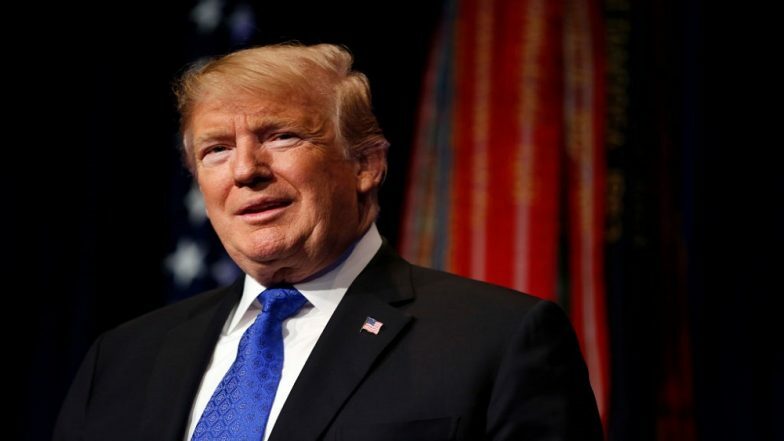 Washington, March 21: Expressing solidarity with its long-time ally Israel, United States President Donald Trump on Thursday said the time has come for his nation to recognise Tel Aviv's sovereignty over the occupied territory of Golan Heights. Israel Prime Minister Benjamin Netanyahu welcomed the announcement, calling it a setback to their common foe Iran. Golan Heights, the plateau region bordering Israel, Lebanon and Syria, was claimed by Damascus as its territory till 1967. In the war that year, the Israeli forces succeeded in occupying the region, which gives it a strategic edge in the highly volatile part of the Middle East. Donald Trump Invites Benjamin Netanyahu to Visit US Before Elections in April. Conforming to the hardline US position - that Israel cannot retract from the occupied territory - Trump said the region is of "critical strategic importance" not only for the safety of Israel, but also for maintaining equilibrium in the region. Netanyahu was quick to acknowledge Trump's remarks, saying that the announcement was essential at a time when Iran is attempting to use the Syrian soil to challenge the sovereignty of Israel. "At a time when Iran seeks to use Syria as a platform to destroy Israel, President Trump boldly recognizes Israeli sovereignty over the Golan Heights. Thank you President Trump! (sic)," he tweeted back. The recognition of Golan Heights as Israeli territory also comes amid the ongoing visit of US Secretary of State Mike Pompeo to Tel Aviv, where he is scheduled to hold high-level talks with Netanyahu. The announcement, in the run-up to the general elections in Israel, will serve as a shot in the arm for Netanyahu who is seeking another term on the poll plank of national security.